Here is a reminder of my map of the different regions in Iceland with the main towns. For each region you visit you can opt to stay in one of the towns where you will find restaurants and shops or you can opt for farms and guesthouses out in Nature to wake up to beautiful views and feel closer with the Earth. If you want a bit more guidance and specific ideas of places to stay, I will present accommodation options for several of these regions further in the article. 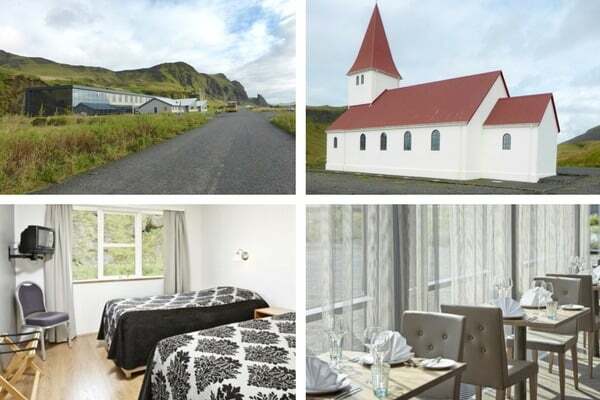 Hotels are like everywhere else... a classic option for Iceland accommodation. Farm holidays are similar to B&Bs but in Farmhouses often off the beaten track. Airbnb which has more than﻿﻿ ﻿﻿3﻿﻿00 ﻿﻿rooms and houses listed in Iceland. Iceland has many campsites around the country offering you cheaper accommodation (over 170) - if you stay quite a while, consider the Camping Card giving you access to a network of campsites. Since 2013, the law has changed and conditions to wild camp are complicated. You must understand ownership of lands. Better to use campsites. And before booking your trip, you might consider reading my article about the best time to go to Iceland depending on what you want to see and experience. I paid for all my Iceland accommodations entirely. Some photos are not my own as I strangely did not take many pictures of my Iceland Accommodations but I selected photos I found representative of my stay. Booking.com is what I use myself for booking. 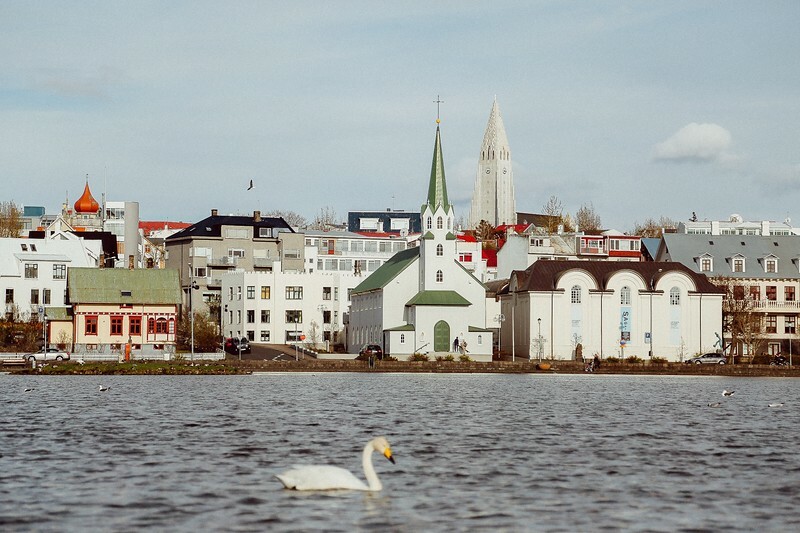 Reykjavik is the capital city of Iceland. 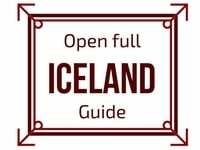 This is where you find the highest number of Iceland accommodations from luxury hotels to small guesthouses. You can stay one night or stay your whole trip and do day tours from there. If you want to stay centrally located, discover the Reykjavik Treasure B&B. I had only one night there but wish I had stayed more. It was very welcoming, with charm and a great location. Another option I experienced in Reykjavik is the hotel of Reykjavik Lights. Great facilities, the location is more for those ready to hit the road. DESIGN - If you like modern design, have a look at the 41- Townhouse hotel! FAMILY - Have a look at the Old Charm Reykavik Apartments. They have 2 and 3 bedrooms apartments and a decor with a lot of character. Check availability and latest prices. The Golden Circle Iceland is a great road North of Reykjavik, which includes some of the top attractions in Iceland such as the Thingvellir National Park, Gullfoss waterfall and the Haukadalur geothermal area with geysers. I had a really great stay at the Geysir Cottages (part of Hotel Geysir). The location was perfect to go check out the eruption of the Strokkur geyser when no big tourist busses were around. Location: right across the road from Haukadalur and the Strokkur geyser. Just 10min from Gullfoss Waterfall. 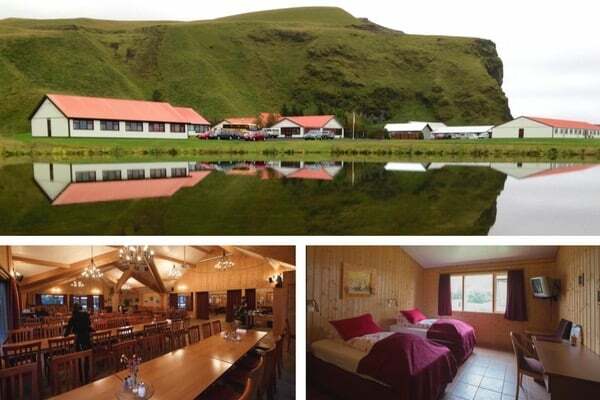 A first option right in Vik is Hotel Edda Vik with a modern section and old huts. 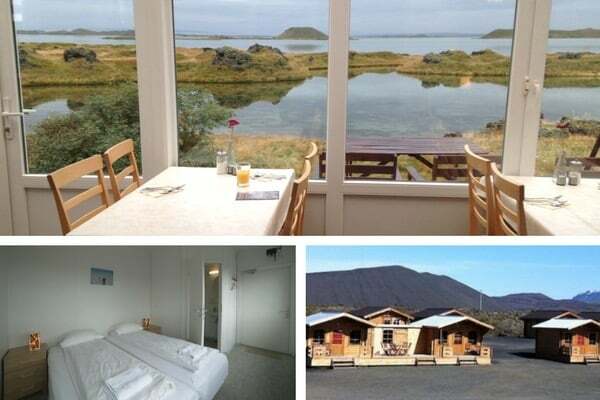 If you want to stay close to Vik but more into nature the Hotel Katla Hofdabrekka is a great choice. I really enjoyed walking around in the morning following the river. There were some great reflections. Location: Very peaceful place. Easy to go for a walk in a fjord. Short drive to the town of Vik. As you continue along the Ring Road on the South Coast of Iceland, the next big town is Hofn. Highlights of the area include the Jokulsarlon lagoon and Verstrahorn. Between Jokulsarlon and Hofn, I stayed at Hotel Smyrlabjörg. 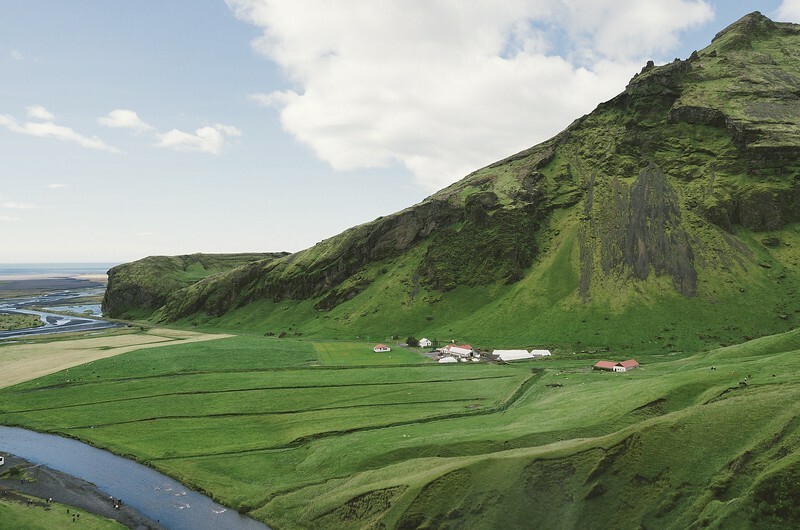 The Snaefellsnes peninsula is often considered a mini Iceland with fjords, glacier, lava fields and craters to admire. Its main attraction is the mountain of Kirkjufell and its waterfall. With my photography group with stayed at Framnes in ﻿﻿﻿﻿﻿Grundarfjörður. The location was great not far from the famous Kirk﻿﻿jufe﻿﻿llsfoss allowing us to get there at sunset and sunrise. In the morning we were even greater by a beautiful rainbow over Kirkjufell. When I went back to the Snaefellsnes peninsula on my own I opted for the cheaper accommodation of The Old Post Office Guesthouse wth shared bathroom. Godafoss is a beautiful horseshoe shape waterfall in North Iceland, just 30 min drive from Akureyri. There is not much around but a petrol station and a Guesthouse which also has a small campsite. I wanted to photograph Godafoss at sunset, so I decided to book one night at the Fossholl Guesthouse before heading to Myvatn. Breakfast: Nice restaurant. Diner was good and breakfast too. Myvatn is one of my favorite areas in Iceland - craters, lakes, huge lava formations, geothermal areas, fuming lava fields... There are many accommodations around the lake. This Guesthouse is very close to the famous area of Dimmuborgir. I selected the Dimmuborgir Guesthouse for its good rating and great location. I was not disappointed. The surroundings are amazing with lava rocks, lake and Hverfjall behind. And the view for the breakfast area mesmerizing. One of my favorite iceland accommodations. State: Clean, good equipment, good shower. Check-in: Very friendly owners and staff. Always helpful. Keflavik is where the international airport is located. Considering I had an early flight I stayed at the Nupan Deux Keflavik for a short commute to the airport. State: Modern, clean, shared bathroom. Very comfortable. Check-in: Nice. Very helpful staff. For the more adventurous, you can hike or take a 4WD to the Thorsmork area, the Iceland Hiking hub with volcanic and greener scenery. There is not much choice out there in the wild... I stayed in one of the Volcano Huts. As it is very isolated it is a great place to seen the northern lights when the conditions are good. Location: I love staying in isolated place so great - but note that a deep river crossing is required if you coming via 4WD. State: Simple huts but comfortable enough. Breakfast: OK. Dinner was also OK with a small buffet (considering the location it is of course limited).